The award-winning author of Finnikin of the Rock and Jellicoe Road pens a raw, compelling novel about a family’s hard-won healing on the other side of trauma.Award-winning author Melina Marchetta reopens the story of the group of friends from her acclaimed novel Saving Francesca - but five years have passed, and now it’s Thomas Mackee who needs saving. After his favorite uncle was blown to bits on his way to work in a foreign city, Tom watched his family implode. He quit school and turned his back on his music and everyone that mattered, including the girl he can’t forget. Shooting for oblivion, he’s hit rock bottom, forced to live with his single, pregnant aunt, work at the Union pub with his former friends, and reckon with his grieving, alcoholic father. Tom’s in no shape to mend what’s broken. But what if no one else is either? 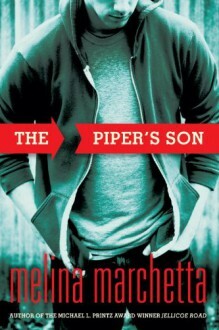 An unflinching look at family, forgiveness, and the fierce inner workings of love and friendship, The Piper’s Son redefines what it means to go home again. Melina Marchetta tiene un don y esta es otra muestra de ello.